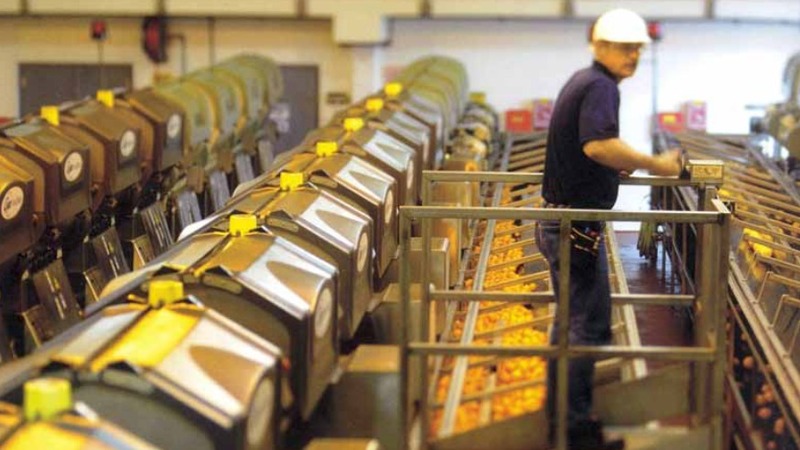 Properly handling and sterilizing fruit juices that contain particles – in other words, fruit pieces – is of vital importance to any company working within the juice sector and it is here that JBT has not only delivered effective solutions, but has excelled in doing so. Promoting such systems is a key part of the role of JBT’s head of EMENA (Europe, Middle East and North Africa) operations, Christian Gelati, who sells JBT’s market-leading systems and markets the company’s knowhow to producers across the region. Since joining JBT a little over 10 years ago, Gelati has been in charge of bringing some of the company’s unique innovations not just to Italy, but to producers across Europe, the Middle East and Africa. Among these are JBT’s aseptic sterilizers and blending systems for products that contain pieces of fruit, fruit pulp or simply water with sugar. “JBT has a very deep knowhow of how to handle and sterilize products with particles – in other words, how to handle the product without damaging the particles,” explains Gelati. A complementary – and equally important – product marketed by JBT across the region is the innovative Thermally Accelerated Short Time Evaporator or T.A.S.T.E. for short. A unique machine, the T.A.S.T.E. is typically used with juices obtained from citrus, tomatoes, and tropical fruits, which are sensitive and easily spoiled when subjected to high temperatures, even for short times. However, Gelati believes there is considerable potential to expand use of the evaporator into less conventional juice lines. “The juice business has really changed over the last three-to-four years with products such as vegetable concentrates and unconventional juices, such as carrot and pumpkin juice,” he says. Other important products marketed by JBT in the EMENA region include the FDA-approved low acid aseptic filler, which has the advantage of not using any chemicals. As a result, Gelati says the product can add value to products where being chemical-free is hugely important, such as baby food. When it comes to effective solutions for the juice industry, JBT’s range also includes extractors that have been developed to deliver higher yield, higher quality juice which has a lower oil content, while producing good quality pulp. The fact that most extractors are leased also means that the aftercare service provided by JBT’s engineers is a considerable added value for juice companies. Gelati joined JBT in 2007 as a production development manager. After three years in sourcing and purchasing, he assumed charge for all JBT’s Italian operations, based in Parma, before last year, being given overall responsibility for the EMENA region. This time and experience has given Gelati a clear understanding of how and why JBT continues to stand out in the food processing industry, emphasizing that its value does not just lie with the innovative products, but with the company’s dedication to providing effective aftermarket care. As well as innovative product design and reliability of service, JBT continues to score highly among clients for its presence across international markets and its commitment before, during and after product installation. “We have never left a customer alone with a problem – it’s not the JBT way of doing business,” concludes Gelati.